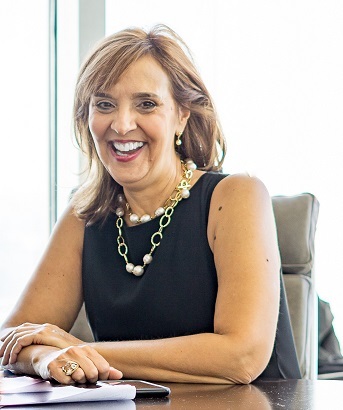 CEO, The Sierra Group, Inc.
Janet Fiore, a national authority on disability, diversity and compliance policy and procedure for business, is the President and CEO of The Sierra Group. She’s an award-winning speaker and consultative trainer who routinely provides media input as well as testimony for Congress, the GSA and the Department of Veterans Affairs. As a woman with numerous disabilities, Janet combines her business and rehabilitation expertise, along with her own professional and personal accommodation experiences in order to ‘drive up’ employment success for all of her customers. Janet created The Sierra Group in 1992 with the intent to organize a company with the goal of reversing the rate of unemployment of people with disabilities. Since that time, The Sierra Group has grown to employ a diverse staff, more than half whom are people with disabilities. A social entrepreneur, Janet is past president of the Pennsylvania Rehabilitation Association and the National Association of Rehabilitation Leaders (NARL). Janet has won numerous awards and garnered press attention from organizations including The Philadelphia Business Journal, Inc. Magazine, Microsoft Press, the Philadelphia Mayor’s office, PA OVR, and the PA and National Rehabilitation Associations. Janet was recently nominated by the PA Secretary of Labor and appointed to the Pennsylvania Governor’s Council on Diversity and Inclusion. Seeking more ways to spread the knowledge of bring to work, stay at work and succeed at work ‘best practices’ for Americans with disabilities, Janet cofounded The Workplace Technology Foundation, d/b/a The Sierra Group Foundation in 2002. The Foundation shares knowledge and resources while providing micro grants to the underserved. Resource information is distributed via the EmploymentIncentives.org national web-portal and the #1 Google ranked RecruitDisability.org job board. Garnering national attention from the business community and Microsoft since 2001, The Sierra Group team continues to perform consultative training to business and rehabilitation professionals across the country. The combination of Sierra’s daily hands on work training and accommodating people with disabilities and the businesses who hire them gives the Sierra Group a unique perspective which led to our DisabilityRecruiter© Certification program, which celebrated its one year anniversary with over 100 professionals participating. The DisabilityRecruiter© Certification program gives practical skills to business professionals seeking to properly recruit and hire Americans with disabilities. Consulting work has taken Janet to such household names as Aetna, Toyota, Tiffany & Company, and Comcast. Bring to work, stay at work, and return to work strategies have been incorporated into HR programs of hundreds of companies locally, regionally, and nationally. Under Janet’s leadership, The Sierra Group has performed over 10,000 worksite assessments. In addition to our statewide and national work with the business community, here in Philadelphia The Sierra Group also runs the region’s largest an adult vocational training program of its kind, where we place 73% of our regional job seekers with disabilities who graduate each year. Janet has been a long-standing partner of OVR in Philadelphia and offices across the state; she partners with OVR to help our customers with disability gain work skills to become competitively employed. Janet and her team continues to be Philadelphia’s OVR Business Service Team partner in the annual Job Fair and NDEAM events.